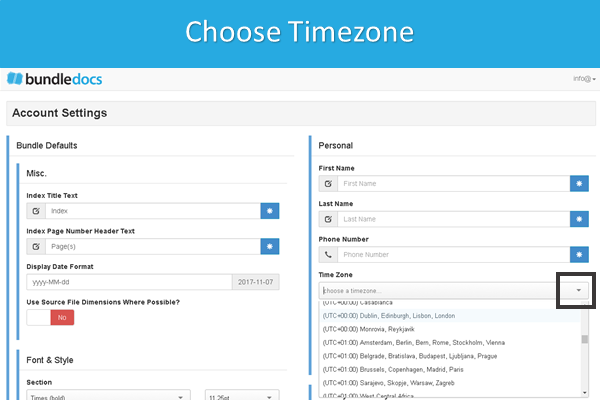 Q&A: Can I set a timezone for my Bundledocs account? Recently our support team received a request asking if it was possible to change the timezone on their Bundledocs account? Yes, it is. Keep reading to discover how. Before we jump in, you may be wondering why you would need to change the timezone for your account? In short, this is really useful for anyone that uses the automatically generated title page in your bundle (so you don't upload your own). 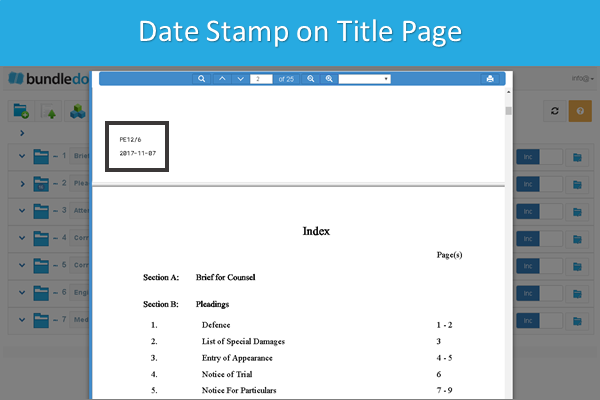 Depending on when you generate the bundle, you will want to ensure the date stamp is correct. Setting the timezone will do this for you. How do I set a timezone in Bundledocs? 1. 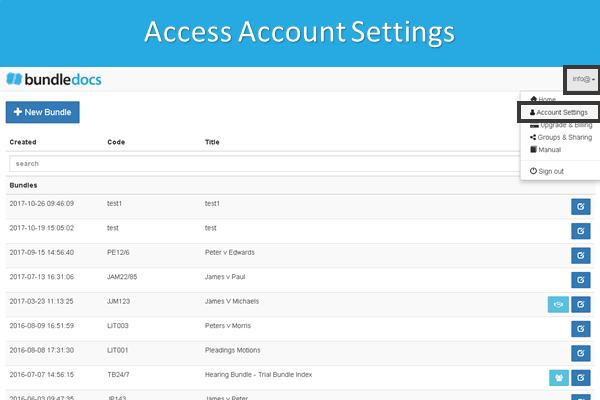 Select your email in the top right corner and from the dropdown choose 'Account Settings'. 2. 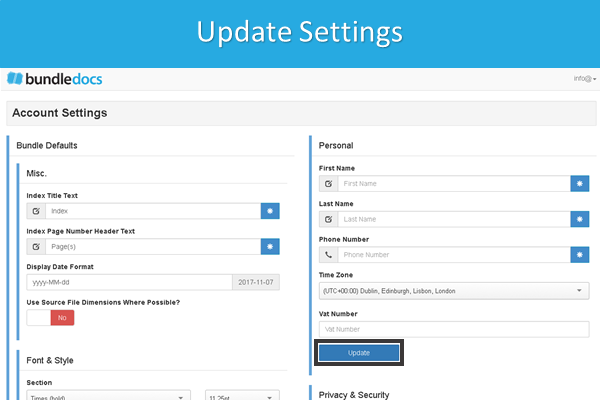 Within the 'Personal' area, simply choose your timezone from drop-down. 3. Click 'Update' to save changes. Want to learn more about Bundledocs? Remember, our complete manual is available to download at any time directly within your account. Our team are also on hand to help. Any queries? Get in touch with our dedicated team today.